The Visalia performance of "CAT'S IN THE WELL", which is most enjoyable to listen to, had been the only one in 2000 until in September Bob came to Scotland. In Aberdeen we did witness one of the rare performances of this song. It rocked. It was most interesting to watch Bob looking left and right several times to really make sure his band stops playing when he delivered the last line: "Goodnight my love, may the Lord have mercy on us all." Four times in November Bob chose to close his main set with this thought provoking song about the state of this world full of sin. "The leaves are starting to fall." It's not dark yet, but it's getting there. Be ready, don't wait too late. The first performance of "CAT'S IN THE WELL" in 2001 was the in Borgholm, Sweden, where Bob chose to close the show with this rocking gem. He closed other shows with it, in Schwäbisch Gmünd, Germany, in Montreux, Switzerland, and in Stirling, Scotland. One week later Bob closed the main set with "CAT'S IN THE WELL", in La Spezia, Italy, and one month after that he closed another main set with it, in Telluride, Colorado. During the fall 2001 tour Bob closed other main sets with "CAT'S IN THE WELL", in Sioux City and Chicago. Almost half a year later, in Munich in April 2002, a stunning thirteen minute version of "CAT'S IN THE WELL" [mp3 link below] closed a main set which had included "IN THE GARDEN". Six days after this, in Innsbruck, it closed a main set which had included the first acoustic "SENOR" and the first "I BELIEVE IN YOU" since 1998. The next performance of "CAT'S IN THE WELL" was almost 18 months later, in October 2003, as the first encore in Helsinki, where it appeared in the same setlist as "EVERY GRAIN OF SAND". "CAT'S IN THE WELL" remained the first encore for the other Scandinavian shows, in Stockholm, Karlstad, Oslo, Gothenburg, and Copenhagen. During the first two Swedish show, my wife and I had the pleasure to witness this fine song, and to behold again how Bob directed his band to stop playing as he delivered that last line: "Goodnight my love, may the Lord have mercy on us all." At the first two German shows of 2003, in Hamburg, "CAT'S IN THE WELL" opened some more encore sets, as it did also in Berlin an Leipzig after that. Next it was performed in Prague; then in Budapest, where it appeared in the same set as the first "TRYIN' TO GET TO HEAVEN" in more than 26 months. The next encore sets were opened with "CAT'S IN THE WELL" in Graz, in Vienna, and in Munich; then in Bolzano, in Rome, and in Milan. Next it appeared in Zurich, in Freiburg, and in Frankfurt, before it shared another set with "TRYIN' TO GET TO HEAVEN" in Düsseldorf. After this "CAT'S IN THE WELL" was also performed in Amsterdam, in Brussels, in Paris, in London, and in Dublin. After the Millstreet show had been cancelled, "CAT'S IN THE WELL" appeared in Sheffield, in Birmingham, and finally during the last two shows in London, at the very end of this great "The leaves are starting to fall - Tour". During the first show of 2004, in Tulsa, Bob performed the first "CAT'S IN THE WELL" on his side of the Atlantic in more than 28 months, during a set which also included for the first time ever both "EVERY GRAIN OF SAND" and "SAVING GRACE". During the next three shows, in St. Louis, "CAT'S IN THE WELL" opened some more encore sets, and it also was performed during all four shows in Chicago. Next it appeared in St. Paul, at both shows in Milwaukee, and during all three shows in Detroit. In Toronto it was performed only during the first and the third show. Next it appeared in two shows at the Avalon in Boston, and then in Upper Darby and twice in Philadelphia. In April it was performed twice in Washington; then in Norfolk, Boone, Asheville and Columbia. And in Atlanta, at the last stop of the spring tour, "CAT'S IN THE WELL" appeared during all three shows. In June 2004 "CAT'S IN THE WELL" was performed in Gilford, Uncasville, and Atlantic City; then in Wilmington, in Salem, and in Manchester, Tennessee. In Europe, one week later, "CAT'S IN THE WELL" appeared one more time during the encores, in Cardiff, Wales. Then the song took a rest for more than two months, before Bob chose to use "CAT'S IN THE WELL" as the opener in Peoria, Illinois. Next it appeared in October 2004, in San Francisco, toward the end of the opening show of the fall tour. The next performance of "CAT'S IN THE WELL" was a mighty fine version during the opening show of the first tour in 2005, in Seattle, Washington. A few weeks later, in Los Angeles, on Good Friday, "CAT'S IN THE WELL" was used as the opener, in a concert which also included "SEÑOR", "SHOOTING STAR", "STANDING IN THE DOORWAY", and "EVERY GRAIN OF SAND". During the first show in Chicago, in April 2005, "CAT'S IN THE WELL" appeared in the same center section as "FOREVER YOUNG" and "MISSISSIPPI". One week later, in Milwaukee, "CAT'S IN THE WELL" was performed in the same show as "STANDING IN THE DOORWAY" and "MISSISSIPPI". Five days after that, "CAT'S IN THE WELL" appeared in Buffalo, New York; and another week later, "CAT'S IN THE WELL" was performed in Verona, New York. During the May to July stadium tour of 2005, "CAT'S IN THE WELL" appeared only once, during the second show in Ft. Lauderdale, Florida, in the same set as "SEÑOR". The last performance of "CAT'S IN THE WELL" in 2005 was during the opening show of the European fall tour, in Stockholm, Sweden, once more in the same set as "EVERY GRAIN OF SAND". In 2006 "CAT'S IN THE WELL" appeared first in Las Vegas, closing the main set of the fifth show of the spring tour. Four days after that, in Albuquerque, "CAT'S IN THE WELL" closed another fine set with an almost identical song selection as Las Vegas. The next performance of "CAT'S IN THE WELL" was six days later, during the first of two shows in Kansas City, Missouri; and five days after that "CAT'S IN THE WELL" appeared once more in Missouri, this time in Springfield. Six days later Dylan chose to include "CAT'S IN THE WELL" in his set at the New Orleans Jazz & Heritage Festival. Four months later, a few days before the release of 'Modern Times', Bob surprised an audience in Pennsylvania by using "CAT'S IN THE WELL" as the opener, in a show which also included the first "NOT DARK YET" in almost 13 months. The next show, in Rhode Island, also started with "CAT'S IN THE WELL", and included "A HARD RAIN'S A-GONNA FALL". Two days later, in Massachusetts, "CAT'S IN THE WELL" opened the next show, which also included the first "I SHALL BE RELEASED" in almost 13 months; and one day after that, in New Hampshire, another one which again featured "A HARD RAIN'S A-GONNA FALL". The next two shows, in Connecticut and in Rochester, New York, also started with "CAT'S IN THE WELL", as did the remaining seven shows of the tour in September, twice in New York (either together with "NOT DARK YET" or with "BLIND WILLIE MC TELL"), then in Pennsylvania, in Indiana, in Minnesota, and in both South and North Dakota. Nine days after the tour was over, "CAT'S IN THE WELL" opened a short eight song set performed during the 30th anniversary party of the biotech company Genentech in South San Francisco, California. During the fall tour of 2006 "CAT'S IN THE WELL" opened six of the 29 shows; and during the European spring tour of 2007 Dylan, center stage on electric guitar, used "CAT'S IN THE WELL" to open 20 of the 28 shows. During the North American summer tour of 2007 "CAT'S IN THE WELL" opened eleven of the 27 shows; and during the New Zealand and Australia tour in August 2007 "CAT'S IN THE WELL" opened four of the 12 shows. Finally four of the 30 shows of the North American fall tour also kicked off with "CAT'S IN THE WELL", including the last show of the year, in Chicago. 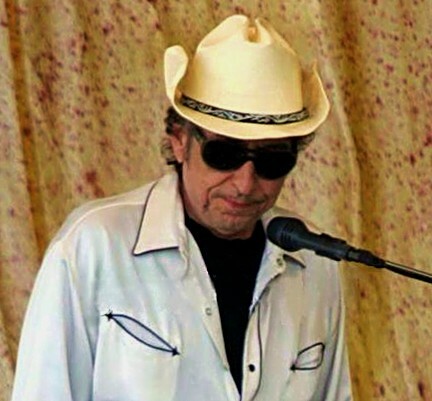 In February 2008, in Dallas, Texas, "CAT'S IN THE WELL" opened the second of three warmup shows for Dylan's Latin America tour. Two more times the song started a concert a few weeks later, in Argentina and in Uruguay. In Canada "CAT'S IN THE WELL" appeared in one of the warmup shows for the 2008 European summer tour, where the song opened four more concerts, in Russia, in Austria, in France, and in Spain. From August 2008 to November 2008 "CAT'S IN THE WELL" opened ten more North American concerts. In 2009 "CAT'S IN THE WELL" was used by Dylan six times as the opening song in Europe in the spring, and four times in the US in the summer. During the fall tour of 2009 "CAT'S IN THE WELL" opened five of the 33 shows; and in March 2010 "CAT'S IN THE WELL" opened two of the fourteen shows in Japan. Only one more time "CAT'S IN THE WELL" was performed after that in 2010, starting the early of two shows in Madison, Wisconsin. And as they went out of Jericho, a great crowd followed him. And behold, there were two blind men sitting by the roadside, and when they heard that Jesus was passing by, they cried out, "Lord, have mercy on us, Son of David!" The crowd rebuked them, telling them to be silent, but they cried out all the more, "Lord, have mercy on us, Son of David!" And stopping, Jesus called them and said, "What do you want me to do for you?" They said to him, "Lord, let our eyes be opened." And Jesus in pity touched their eyes, and immediately they recovered their sight and followed him. To you I lift up my eyes, O you who are enthroned in the heavens! Behold, as the eyes of servants look to the hand of their master, as the eyes of a maidservant to the hand of her mistress, so our eyes look to the Lord our God, till he has mercy upon us. Have mercy upon us, O Lord, have mercy upon us, for we have had more than enough of contempt. Our soul has had more than enough of the scorn of those who are at ease, of the contempt of the proud.